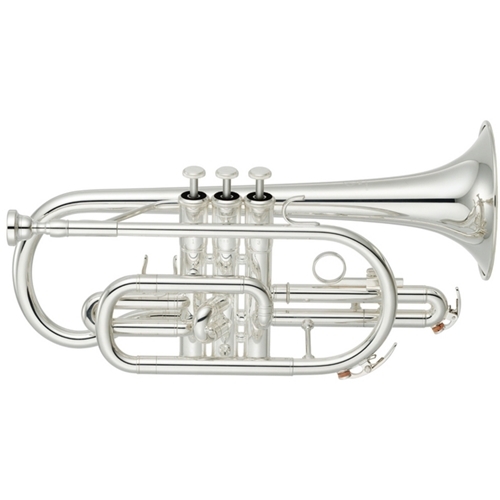 The Yamaha YCR2330SIII Student Cornet introduces a professional looking silver plated finish. When creating this model Yamaha kept the same design as the successful YCR2330 and added some unique modifications, making it suitable for a student. The new medium-large bore size helps the beginner to get a quick and easy response. This model now benefits from a modified two-piece yellow brass bell and has the ideal thickness bell and a round lead-pipe for improved sound and playability. Available here in an attractive silver-plated finish.